In 2003, after a long history in car audio, JL Audio began making subwoofers for the home. Unlike some subwoofer makers, however, JL Audio has not branched out to full-range home speaker systems. This single-minded focus has paid off for them. JL Audio subwoofers typically contain extremely powerful amplifiers, and are known to pressurize a room with movie effects like nobody’s business. But the company’s real achievement may be that its subs are also thought by many to be highly musical -- so musical that they’re regularly paired with the world’s best speakers. In fact, SoundStage! editor Jeff Fritz reviewed JL Audio’s E-Sub e112 ($1900 USD) with Magico’s S1 speakers, and I’ve been using a pair of E-Sub e112s in my main system with YG Acoustics’ Kipod II Signature speakers. Early last year, I heard that JL Audio had introduced the Dominion line of subs: the small d110 (10” driver; $999.99) and the even smaller d108 (8” driver; $799.99). (Prices are for the Black Ash finish; add $100 for Black Gloss). It’s not easy to make a great inexpensive subwoofer. Making one that’s also small is fairly impossible. At my prompting, Jeff contacted Carl Kennedy, JL Audio’s vice president of sales, to send me a pair of Dominion d110s for review. 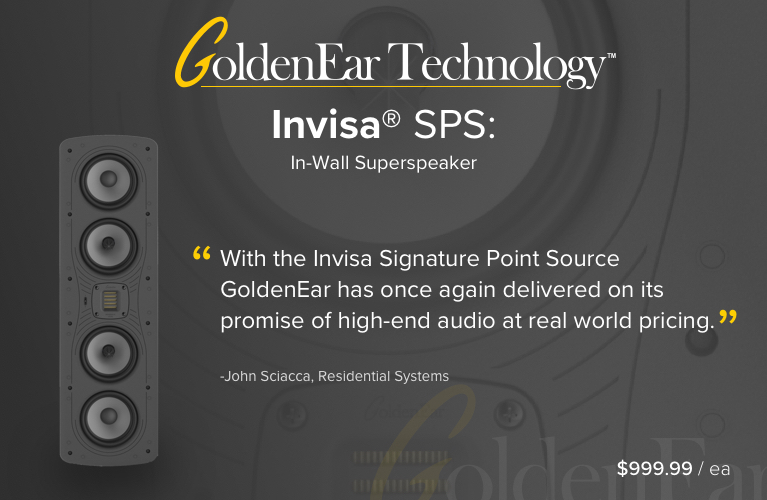 While JL Audio’s founder and chief design engineer, Lucio Proni, is undoubtedly the main inspiration of JL Audio’s products, it was Kennedy whom JL Audio hired in 2003 to direct its invasion of the home market. It took many months for the d110 to arrive -- apparently, Dominions were flying off the shelves faster than JL Audio could make them. Perhaps as a result, I received only one sample. When Kennedy got wind of this, he began to make arrangements for me to be sent another one. However, before the second sub shipped, I mentioned the possibility of my reviewing only the single d110 in my modestly priced second system. Kennedy thought this a great idea, and said that while the Dominion subs could hold their own in high-end systems, they were ideal for budget setups. In light of the review’s new focus, he also sent me JL Audio’s JLink TRX system ($199.99), with which the Dominion d110 can operate wirelessly with any line-level source. 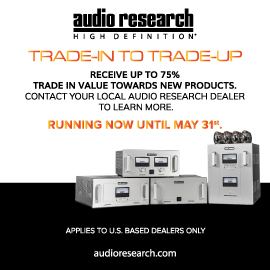 At retail prices of $999.99 and $799.99, it’s no surprise that JL Audio made some compromises in the d110 and d108. They lack the built-in digital room correction and line-level outputs found in JL Audio’s more expensive models, and their controls are located on their rear panels, rather than on the top or front. Also, the bottom of the d110’s frequency response is 25Hz, -3dB -- not nearly as low as, say, JL Audio’s 360-pound Gotham ($15,000), which digs down to a subsonic 17.5Hz, -3dB. However, what stands out about the 38.2-pound Dominion d110 is that JL Audio has not compromised on its two most critical internal components: its 10” driver and its amplifier, which JL Audio claims puts out 750W. Both parts were developed by JL Audio specifically for the Dominion models over three years, and were designed to complement each other. Reproducing the deepest pipe-organ notes or re-creating realistic movie effects at substantial volumes requires a sub’s driver to move lots of air. When the sub’s cabinet is small, this results in extreme levels of internal air pressure that can cause the driver to do all sorts of barmy things, including act nonlinearly. That, in a nutshell, is the main challenge in making very small subwoofers, and it’s one of the reasons driver design and construction are crucial. To solve this problem, many manufacturers control the behavior of the driver’s cone by making it of a very rigid material. In designing the d110’s driver, JL Audio used its proprietary Dynamic Motor Analysis (DMA) technology to create a virtual model of the driver’s ideal ecosystem. This allowed JL Audio to, among other things, design the driver to have a stable magnetic field, thus ensuring that its cone moves linearly throughout its full range of excursion of over 2.5”. The d110’s class-D amplifier is driven by a proprietary switching power supply. This type of amp allows for efficient production of high amounts of current, and its small size means that the sub itself can be smaller. Low-frequency signals are guided into the d110 via an onboard crossover with a 24dB/octave Linkwitz-Riley alignment. This crossover design was conceived in 1976, when Siegfried Linkwitz, a Hewlett-Packard engineer, published a now-famous paper on active crossovers that was at first ignored. In the paper, Linkwitz credited his coworker Russ Riley with discovering that cascading the then-commonly-used Butterworth filters met all of Linkwitz’s performance requirements, including a perfect combined radiation pattern of the two drivers at the crossover point. The Dominion d110 measures only 13.4”H x 12”W x 15.86”D -- little more than a cubic foot. To contain the immense pressures created by the movements of its driver, its sealed, highly braced cabinet is made of CNC-cut medium-density fiberboard (MDF), a composite of wood fibers and resin. Unlike solid wood, MDF has a nondirectional grain structure, and is very low in resonance. JL Audio’s use of MDF in the d110 might not seem remarkable, but the company chose this material only after experimenting with many other natural and synthetic materials. Some speaker and subwoofer manufacturers use inexpensive chipboard or even tempered cardboard, both of which have poor performance characteristics. At 13.37”H x 10”W x 13.23”D and 26.4 pounds, the Dominion d108 is even smaller. Carl Kennedy told me that JL Audio can’t currently make subwoofers any smaller than this that can produce enough signal output and with enough musicality. To do so, he said, would likely require several breakthroughs in fundamental technologies; he assured me that JL Audio is hard at work on them. The d110’s rear panel consists mostly of a large, rectangular heatsink. Above this is a power indicator, a master gain knob, a Low Pass (LP) Filter switch that turns the crossover off and on, an LP Frequency knob to select the crossover frequency, a Phase (Deg.) knob to adjust the output timing, and a Polarity switch. The Dominions don’t have power switches; instead, they power up when they detect an incoming audio signal, and power down after 30 minutes without a signal. Below the heatsink are line- and speaker-level inputs, an IEC power connector, a fuse bay, a wireless link connector, and a switch to select grounded or isolated operation, the latter allowing the user to select the operational state that produces the least amount of hum with the line-level input. The JLink TRX system, comprising a transmitter and receiver, broadcasts at 2.4GHz, allowing the d110 (or any line-level subwoofer or full-range speaker) to be wirelessly positioned up to 100’ away from any line-level source. Operating at line level, transmitter and receiver are respectively connected to source and sub via single-ended interconnects. However, the receiver contains a JLink port that allows it to be connected to certain JL Audio sub models, including the Dominions, via an Ethernet-like cable (included). This eliminates the need to run an interconnect from receiver to sub. Moreover, when the JLink port is used, the receiver draws power from the sub, thus also eliminating the need to use the receiver’s wall-wart power supply. JLink TRX operates on three channels, allowing up to three transmitters to operate in one area. As many as four receivers can be paired with each transmitter. The transmitter and receiver are small; each measures 3.5”W x 1.12”H x 3.5”D. In my second system I use several wireless powered bookshelf speakers, including System Audio’s Saxo 5 ($1295/pair), in for review. I connect the Saxo 5s, placed on stands, directly to an Oppo Digital BDP-103D universal Blu-ray player and a Roku 4. Subwoofer duties are handled by a Pioneer SW-8MK2, designed by Andrew Jones and modified by Stereo Dave’s Audio Alternative ($159, plus $200 for the mod). For music, I play CDs in the Oppo or wirelessly stream from an iPad via Bluetooth. Cables and power distribution are courtesy a single channel of Synergistic Research’s Core UEF Level 2 speaker cable, Core UEF Level 2 interconnects, and Core AC power cords. The Dominion d110 has exceptional build quality and is elegantly finished, and the gorgeous Black Gloss seemed identical to that of the Saxo 5s. The Saxos gave me no choice but to connect the d110 at line level, so that’s what I did. The d110 is smaller and lighter than most subs. A good thing -- getting a sub to mate with speakers, particularly small ones, can be a challenge. Unlike in my main system, placement options in my second system are limited by furniture and family traffic patterns. So I placed the d110 on three Synergistic Research MIG footers in the only place it would comfortably fit: immediately to the right of and parallel to the right-channel Saxo 5. Luckily, subwoofers typically work well in this area. Then I had to select a crossover frequency. 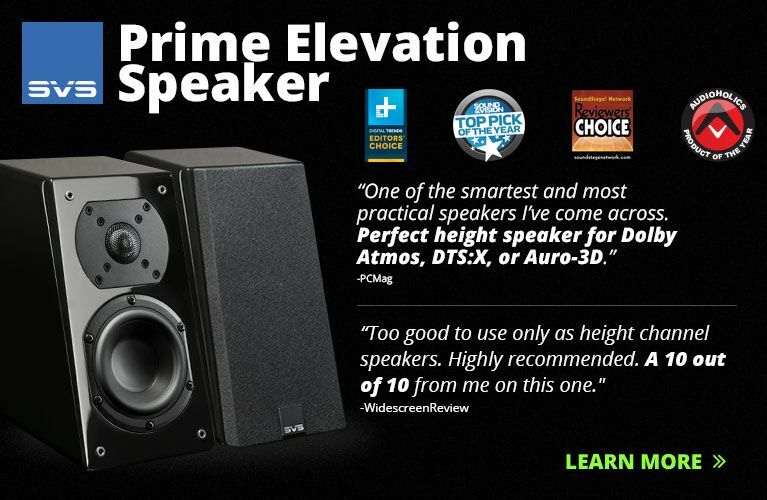 Like many makers of speaker and subwoofers, JL Audio recommends starting at 80Hz. However, some speaker makers recommend a much lower point, depending on the type of speakers used. 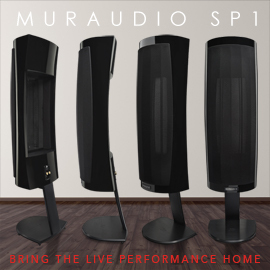 For me, speaker selection is such an intimate process, and the resulting love affair often so intense, that I’d be hard-pressed to divert all signals below 80Hz away from, say, the YG Acoustics Kipod IIs -- large floorstanders with active woofers. However, I can be more flexible with other types of speakers, particularly bookshelf models like the Saxo 5s, which sport 5” midrange-woofers and are claimed to go down to 50Hz. After some experimenting, I settled on a crossover frequency of 75Hz, which produced a surprisingly smooth blend of sub and speakers. Indeed, I could see how some might choose to go even higher. I then dialed in by ear the gain, polarity, and phase, selecting the settings that produced the greatest output and articulation. There are more sophisticated ways of doing this, though they involve software tools that many buyers of a $1000 sub might not use. As I had no problems with hum, I selected isolated operation. The d110’s manual is thorough, well written, and occasionally funny. Notable is its listing of certain dos and don’ts for Dominion owners. Dos include inviting angry, complaining neighbors in for a beverage. Don’ts include not using the sub in a sauna or on a pool deck. Setting up the JLink TRX wireless system took only a minute or two. I ran the Synergistic interconnect from the Saxo 5’s subwoofer RCA output into the JLink’s wireless transmitter. I then connected the transmitter’s power supply to the transmitter and an AC outlet. Finally, using the supplied Ethernet-like cable, I connected the receiver to the d110 via the units’ JLink ports. Performance: Got deep, linear bass? While there may be differing views of how to set up a subwoofer, there can be little disagreement on the results of doing so. The lowest area of the d110’s range, 25-40Hz, is more felt than heard, and a full-range speaker expends an enormous amount of resources operating in that region. When a speaker is freed of the laborious task of reproducing the lowest frequencies, distortion is often decreased through the rest of that speaker’s entire frequency range, and soundstaging improved. 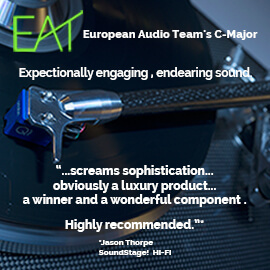 Also, as Jeff Fritz noted in his review of the E-Sub e112, adding a good subwoofer increases the realism of live recordings. These things also happened with the d110. Playing the Saxo 5s with the JL Audio subwoofer, I cued up “In Your Eyes,” from Peter Gabriel’s Live Blood (CD, Eagle ER202662), and immediately heard significant improvements in the bass and midrange. For example, without the d110, the Saxo 5s sounded good, but the New Blood Orchestra’s double bass and other lower strings had little prominence. When I added the d110, the sound of those strings had more weight, definition, and warmth. There was no bloat or overhang, and no apparent time lag. Soundstaging also improved with the d110. The voices of Peter Gabriel and Sevara Nazarkhan now had better stage placement. The resonances of voices and instruments in the hall were better conveyed -- the overall sense of spaciousness made it much more apparent that this recording was made not in a small recording studio but in London’s 3500-seat Hammersmith Odeon. In Mike Oldfield’s Tubular Bells (CD, Virgin ‎CDVX2001), the d110 opened up dynamic range and caused the lower, pulsating sounds to sound tighter and punchier without becoming too thick and congested. But things also improved in the upper part of the audioband. The tubular bells, aka chimes, had better detail and sounded cleaner. Similarly, with a wide variety of recordings, the reproductions of upper-frequency instruments improved. Percussion instruments such as cymbals, hi-hats, and tambourines had better structure, tonal accuracy, and decay. Next was “Shine On, Harvest Moon,” from William Daly & His Mighty Pipe Organ’s Victorian Romance (16-bit/44.1kHz FLAC, Compose Americana/Tidal). The d110 better allowed me to follow the pitches of the organ notes. Ditto with the double bass in any track on the London Double Bass Orchestra’s The London Double Bass Sound (CD, Cala CACD0110). Clearly, the d110 did not do one-note bass. JL Audio’s most expensive subs have a way of making even the most ordinary double-bass lines absolutely riveting, and of easily parsing the differences between the similar sounds of the double bass and cello. The Dominion d110 didn’t do those things as well as JL Audio’s best, but it provided better pitch definition than any similarly priced sub I’ve heard. So far, so good. But now, wanting to test the d110’s gravitas, I turned the volume of “Shine On, Harvest Moon” way up. Part of the beauty of pipe-organ music lies in the instrument’s sheer force, and the sustained notes in this track impressively pressurized my small room. Although I could only imagine the amount of internal pressure being generated inside its cabinet during this torture test, the d110 did amazingly well for its size, and never lost its poise. Further, the sub’s sealed cabinet meant that there was none of the “chuffing” that can be produced when more air is rushing through a sub’s port than can be forced without noise. The d110 didn’t create the absolute jarring room lock of larger subs, including my two 1500W E-Subs. And while the d110 might not be enough to shock and awe the most ardent fan of pipe organs and contrabassoons, it provided a taste of what JL Audio’s higher-end subs can do. Anyway, unless you listen to a steady diet of liturgical music, you won’t regularly encounter the pipe organ and contrabassoon. Otherwise, the d110’s 25Hz bottom should be more than adequate. The d110 is the perfect subwoofer for a bedroom or office system. Pair it with powered speakers such as the Saxo 5s and maybe a small external DAC, and you have a great-sounding system that takes up little space. But the d110 is so good at precisely reproducing specific pitches in the low bass that I wouldn’t hesitate to use a pair of them in my main system, albeit at a lower crossover frequency. The one nit I have to pick with the d110 is about its controls, which are calibrated in large increments. The Low Pass control, for example, is marked in increments of 20Hz, which makes it difficult to know precisely which frequency it’s been set to. But in fairness, most of the d110’s controls are of the set-and-forget type. JL Audio’s JLink TRX wireless system worked without a hitch, providing great sound -- not unlike when I run the Saxo 5s wirelessly via Bluetooth. When using the JLink system instead of very good cables, you do, of course, give up some detail and presence. But let’s get real -- we’re not talking about using JLink with JL Audio’s Gotham subwoofer and state-of-the-art gear. Through the Saxo 5s’ Bluetooth and the JLink TRX’s wireless connections, my system sounded fantastic. The JLink TRX system is the ideal match for the d110, one of the latter’s raisons d’être being to fit into places bigger subs can’t. And if you want to run multiple subs but lack the space, or if a wired connection isn’t an option, a combo of a Dominion d110 and JLink TRX could be just the ticket. I especially appreciated the JLink port, which simplified the wireless system’s already simple setup, permitting it to operate with only a single interconnect and a wall-wart power supply. I compared the Dominion d110 with Pioneer’s SW-8MK2 subwoofer ($359 including mods). 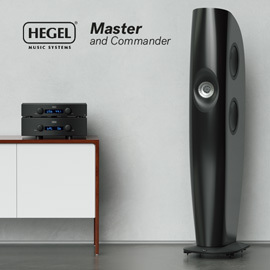 It’s no secret that Andrew Jones, who’s worked for KEF, TAD, and now ELAC, is a gifted speaker designer. 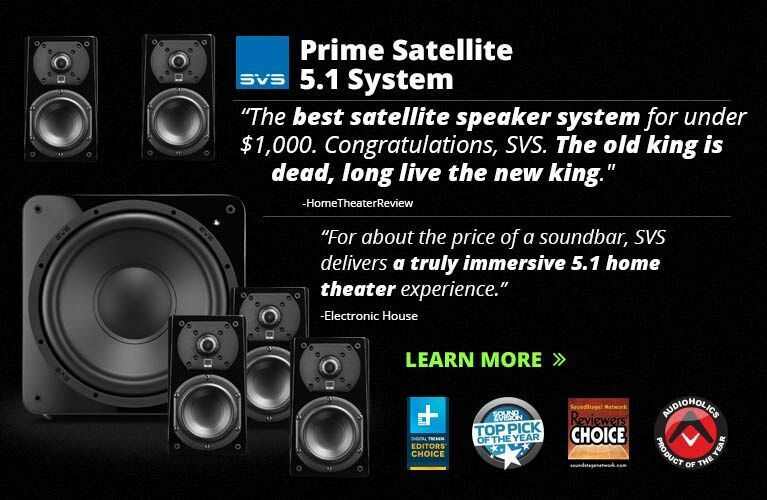 Still, it seems grossly unfair to pit a $359 subwoofer against a $1000 sub. Nor do these two models’ specs seem to offer a fair basis for comparison. The 20-pound, ported SW-8MK2 dips down to only 38Hz and has only an 8” driver, a 100W amplifier, and a cabinet measuring 14.2”H x 12.2”W x 12.2”D. In size, weight, and specs, the d110 is beefier. But specs can be misleading. Just lowering a subwoofer’s low-end frequency response from 38 to 25Hz doesn’t necessarily mean a world of difference in terms of audible performance. What counts is how you get down there -- that is, the linearity of the sub’s operation. 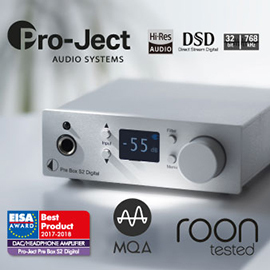 Further, ported subs can have relatively high output as they channel pressure from the back portion of the driver through the port and out of the cabinet. Finally, some in the audiophile press have asserted that, in both stock and modified forms, the SW-8MK2 outperforms some very accomplished subs costing between $1000 and $2000. 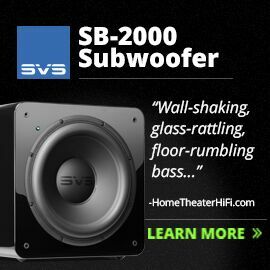 Having listened to both subs, I can’t think of many $2000 bass thumpers that will be outperformed by the SW-8MK2. But while the Pioneer might outperform certain more expensive subs, JL Audio’s Dominion d110 is not one of them. Despite its ported design, and unless you live in the closet of a Japanese micro-apartment, the SW-8MK2 won’t pressurize your room. With William Daly’s “Shine On, Harvest Moon,” the SW-8MK2 achieved only a shadow of the output and extension mustered by the d110. Turning up the gain a bit didn’t help, and turning it up a lot took the Pioneer out of its comfort zone. With the title track of Sultans of Swing: The Very Best of Dire Straits (CD, Vertigo 538 003-2), the d110 had better kick-drum timing and greater low-end extension. Repeatedly, the SW-8MK2’s driver and amplifier seemed too small for the most demanding output tasks, with both music and action movies. Nor did the SW-8MK2 render better pitch definition than the d110, the former homogenizing Daly’s organ notes when compared to the d110. And with Peter Gabriel’s “In Your Eyes,” the SW-8MK2 didn’t bring the lower strings into prominence as the d110 did. This is no knock against the SW-8MK2. It’s unfair to ask any cheap subwoofer, stock or modified, to accurately reproduce the lowest notes of a pipe organ, a large bass drum, or film sound effects, or fully reveal the textural and vibrational nuances of orchestral low strings. Even so, for its paltry cost, the SW-8MK2 does music fairly well, and is free of the extreme bloat that’s typical of very inexpensive subwoofers. The Pioneer SW-8MK2 is the poster child of value and fiscal conservatism. And, not surprisingly, it’s not nearly as good as the JL Audio Dominion d110. JL Audio’s Dominion d110 is the smallest subwoofer I’ve reviewed. Pair it with JL Audio’s JLink TRX wireless system and you can put it almost anywhere, or even add multiple subs to a very tight space. Like the crazy puppy who lives in my building, the d110 might not be fully grown, but it sure doesn’t act that way. And surprisingly, unlike the puppy, the d110 has bark and bite, providing high output, linear extension, and, above all, tuneful music. It stands among the best of a large class of highly able competitors, and might even be the very best of that small bunch. Price: $999.99 USD in Black Ash; $1099.99 USD in Black Gloss. Price: $199.99 USD ($99.99 for each additional receiver).